Request Accommodation ... make a booking request! Surf House Narrawallee, in the Ulladulla region, is a unique Beach House that combines the best of B&B hospitality and Hostel community, and where we offer both relaxation and activity. 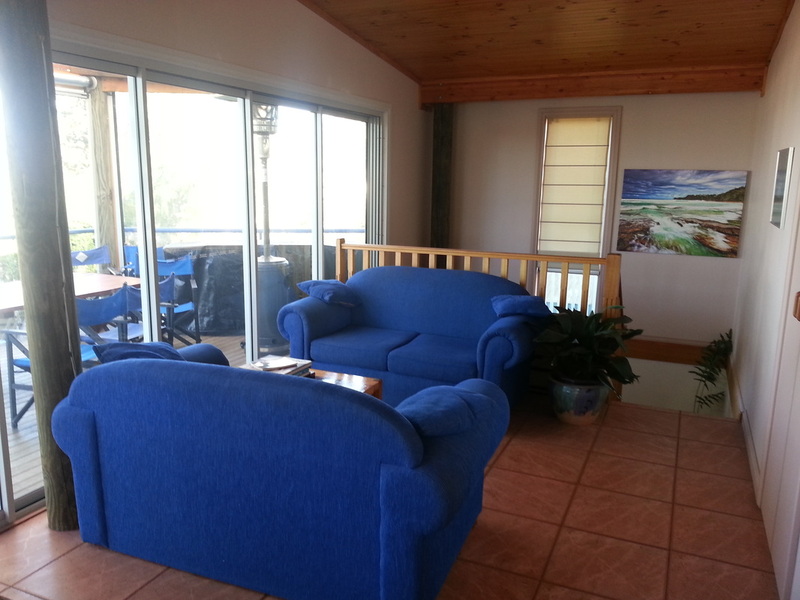 The Surf House is only 150m off Narrawallee Beach and the back deck affords magnificent views of the Pacific Ocean. The Surf House is brilliantly located to take in the wider beauties of the NSW South Coast including Jervis Bay (with whale and dolphin watching), the Budawang National Park, historic Milton and Bateman's Bay. Be active or simply chill! Jen and Steve offer fantastic surfing opportunities for all ages and abilities, including pointing you to local professional lessons. We also facilitate a variety of stunning bushwalking, biking, and fishing activities around the local area. Or if you are wanting that well earned rest, then there are plenty of nooks in which to escape. 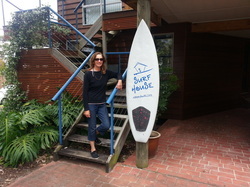 We offer free use of surfboards and wetsuits from the shed, and there are pushbikes for the energetic. The best bit .... we include a hot brekky. It's been a hit with everyone! WOW is Walking on Water and Ulladulla Surf School. They provide an incredible range of water activities, all professionally handled.